Vickie Marasco, and her organization Art Impact Project, were featured in a Chicago Tribune Lake County News-Sun article: “Difference-makers: Vickie Marasco. 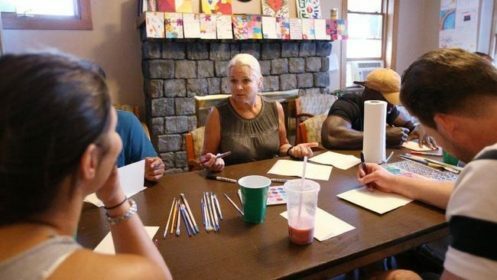 Art provides nonjudgmental outlet for emotions.” Art Impact, a Gorter Family Foundation grantee, is a non-profit organization that uses art programming to help people (from adolescents to adults) that struggle with emotional wellness issues and substance abuse recovery. Art Impact participants are of all ages and backgrounds and are reached through partnerships with schools, behavioral and mental health facilities, community support groups and other organizations.